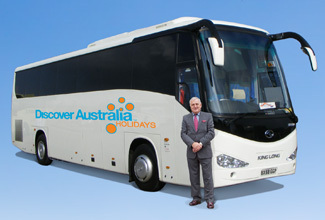 Experience the essential sights of Alice Springs and Uluru Ayers Rock with this exclusive 5 day luxury touring package. Everything is included all flights, tours, hotel, cruises and personalised transfers. Enjoy a full day luxury coach tour to Uluru Ayers Rock and Kata Tjuta Olgas, including a light breakfast, lunch and a spectacular dinner at Ayers Rock at sunset. This is a magical experience you do not want to miss! Enjoy a tour of Alice Springs and visit some of the famous landmarks of this outback town such as Anzac Hill, the Historic Telegraph station and the Old Ghan Train Museum. Luxury Day Tour with Hotel Pick-Up, Light Breakfast, Lunch, Sunset BBQ Dinner with Sparkling Wine at Uluru, Guided Walks at Mala and Mutitjulu Waterhole and National Park entry, Overnight Accommodation . Enjoy a relaxed day to explore Alice Springs at your own pace. Enjoy a camel ride through the desert, visit the Desert Park or spend the day relaxing and reading a good book. Time to say goodbye to beautiful Alice Springs, your fellow travellers and friendly hotel hosts. You will be personally met at your hotel by a DISCOVER AUSTRALIA representative and transferred to the airport to meet your flight home. You have 3 choices of accommodation in Alice Springs. Our "Good Standard" central Alice Springs hotels have great facilities, a comfortable room and friendly service (typically 3.5 stars). Alternatively, why not treat yourself? The "Deluxe" hotels have superior facilities, stylish rooms and first class service (typically 4 stars). The “Luxury” hotels are upscale with a more luxurious feel for the discerning traveller and great for celebrating an anniversary (typically 5 stars). You’ll receive the FREE DISCOVER AUSTRALIA Bonus Voucher Book that includes $500 value of discounts and bonuses throughout Alice Springs and the NT at shops, restaurants attractions, wineries etc. 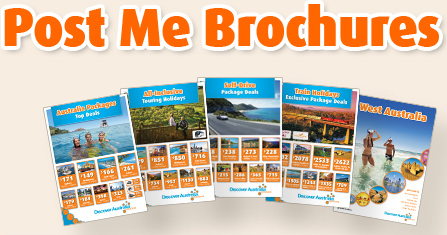 It’s a great way to save even more on your Alice Springs holiday. The Alice Springs Essentials is very popular. Many dates book out well in advance, please book soon.